Just imagine that in Ireland the Celtic language was so well preserved that everyone knew it to some extent, the overwhelming majority of the population could speak it fluently, and a significant number used it in daily life. And so the Irish ruled that it was the only state language. And then some English speaking groups demand that English become the second state language. Would the Irish go for it? In no way. And you could understand why not – not under any circumstances. They want their own language, a living and actively working one. This entry was posted in English, English News, Pictures, War in Donbas and tagged #FreeKolchenko, #FreeSavchenko, #freesentsov, #RussiaInvadedUkraine, #StopRussianAggression, #UkraineUnderAttack, official language, Ukraine. Bookmark the permalink. I don’t really agree with this analogy… The British may not have been the most kind colonisers in the world, but they have a long way to go to achieve one hundredth of the savagery that the soviet occupiers achieved without trying (and let’s not even mention the Romanoffs etc. that preceded Lenin and Stalin). The real reason why Russian should not be an official language of Ukraine is much simpler. No-one wanted the Russians or their language there in the first place, and no-one really wants them there now. Their biggest social problems are their inability to assimilate and their presumption that they have the right to make others assimilate to them. It is unfortunate that both Ukrainian and Russian are Slavic languages. The Baltic nations have an easier time explaining why Russian shouldn’t be an official language there (as was suggested by the Russians living there in the early 90s), because there is no similarity between Estonian, Latvian or Lithuanian and Russian – so the fall back position of ‘it’s all the same’ doesn’t apply. 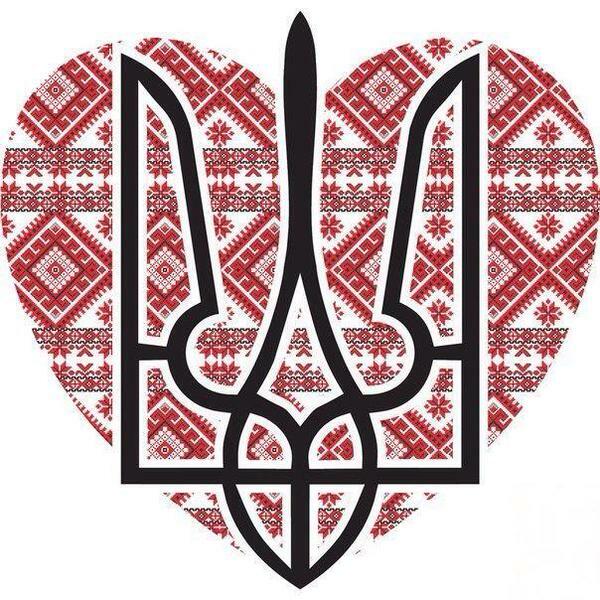 Russian should not be an official language in Ukraine because Ukraine is not Russia (thank God!). Slava Ukraini! the children learn in Ukrainan in Ukraine. It’s only in recent years, but a few years BEFORE EuroMaidan. I foster in Ukraine, my oldest three were taught in Russian, my youngest three are taught in Ukrainian. Disintegration of the British Empire was the greatest geopolitical catastrophe of the 20th century. Certainly nearer the truth than Putin’s absurd comment on the collapse of the Satan inspired USSR. Yes, however Ireland and England are not currently at war, and Ukraine and Russia are. This is a very important fact to remember. England and Ireland … Not at war for hundreds of years I believe. Their has been serious uprisings but that’s well before 1800. After that it’s been terrorism / freedom fighters which has now stopped years ago. This is again achient crap of the highest order. Invading a sovereign state in 2015 is not acceptable in Europe or anywhere in particular. If China invaded Russia …. Europe would likely support Russia …… Why does Russia think bravado and bolshy bullying is likely to be an acceptable way in a unified and connected world … Unless it was blind, arrogant and slightly stupid. English is the second language in Ireland because its native language is effectively dead and most Irish cannot speak it. I think that a better example than the one that the author used (i.e. Ireland) is Quebec: in Quebec, there is only one official language: French, because that language is under threat there. Similarly, in Ukraine, Ukrainian is under threat (and the situation of the Ukrainian language is actually more dire since if it disappears from Ukraine, it will disappear completely; also, repression of Ukrainian in Ukraine was MUCH more severe than repression of French in Quebec ever was). We actually learn it until we leave secondary school which is normally 17 but your point would work if implemented. Don’t try to make out the English ( British ) are all saintly ….. We did some pretty awful things whilst building our empire over hundreds of years. That however doesn’t mean to say we haven’t moved on or that it’s now right for Russia to hide behind its misinformation, hybrid war or bullying of the nations and people around its borders. As for speaking Ukraine, there’s also a significant amount of Russian speakers in Ukraine that do not support the Pro Russian / Russian offensive ( invasion ? ) or believe there shouldn’t be anything other than a fully United Ukraine. Why do they speak Russian? Because they had no choice to under the USSR, the schools were forced to teach it. And now it’s being used as an excuse for Putin to beat his chest like a miniature ape and run around claiming his Russian speaking brothers are being oppressed. It’s a power show with political overtones. Tremendously sympathize with the ideas behind this, and indeed the similarities between the Ireland/England, Ukraine/Russia relationships are striking (it was 800 years before England’s predatory relationship to Ireland finished, let’s hope Ukraine does better). Only problem with this is that, actually, English IS the second official language of Ireland. Come on people, sloppy research does not help the cause! The writer was asking whether English WOULD be an official language if the native language was not effectively dead. He was not stating that English in not an official language of Ireland. Before I begin, I should state that I happen to be Irish, but I live in Simferopol, Crimea. Actually, I think that the analogy with the Irish language is a really bad one, firstly because it’s completely ahistorical, but also because BOTH the Irish and Ukrainian languages fail to meet criteria necessary for the argument to work. What does it take before a language can be seen as a “living” language? It requires a whole lot more than simply people speaking that language as a vernacular. It is also necessary that the language can be used for specialized knowledge-production without having to simply import its entire intellectual tradition from somewhere else. Before a language can be recognized as the only national language, it must have an INDIGENOUS technical lexicon. If you can’t do organic chemistry, social theory and engineering without importing and transliterating the technical lexicon of the language-group from which you’re attempting to assert your independence, then quit kidding yourself. The Irish language is not a viable national language because it does not have an indigenous technical lexicon, like German, Russian or most Slavonic languages do. In most areas of specialization, the Ukrainian technical lexicon is an admixture of Polish and Russian terms. In Ukraine, even most magazine-circulation is in the Russian language, and a high percentage of ATM-transactions are conducted in Russian. So maybe both Irish cultural nationalists and Ukrainians should quit kidding themselves. I actually applaud the writer for his article. 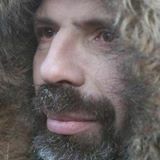 It was a ‘What If”, not a “What is’, meant to serve as a vehicle for explaining the ‘language dilemma” to those who seem to think that Ukrainian is just a dialect of Russian and cannot conceive that there are people who would want to make it the one and only ‘official’ language of their own country. Mr. McGrath, if it is merely an issue of an ‘indigenous technical lexicon’, then I am certain both Ireland and Ukraine would have had one had another nation not tried to obliterate the language of the indigenous population and thus allowed it to freeze at the time that it fell ‘out of favor’ by the ruling power. Your argument is sadly without substance. Do you actually think that English is free from the influence of technological terminology from other nations? Whoever dominates a technical or scientific specialty sets the language of that specialty so that ‘technical’ language can be commonly understood throughout the world.